Share your message with our audience of sustainably-minded readers! We offer ad space in each of our three ReNews publications. 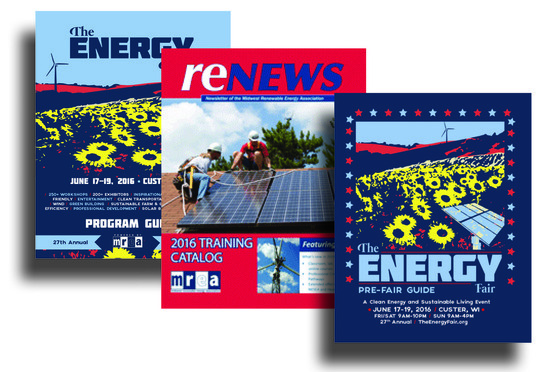 ReNews is our semi annual newsletter, which includes articles on renewable energy, trainings, policy, case studies, financial incentives, sustainable living tips, and much more. It’s free to the public, and available in both print and digital versions. Email Kaitlyn Kohl with questions, trades, or inquiries at kaitlynk@midwestrenew.org. 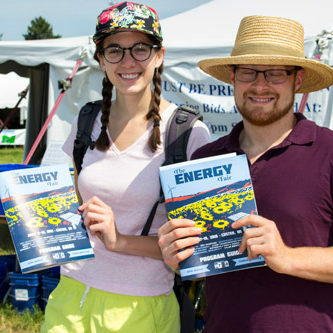 Visit our advertising page on TheEnergyFair.org to learn more about our rates and publications. Don’t have a designer? We can create your ad for $35.00. Your ad support directly benefits our renewable energy and sustainability initiatives.